How could A Child’s horoscope Affect the mother? Vedic astrology or Jyotish takes a much closer look at child birth than any child being born to a family. It is believed that a child is attracted to a family based on his past life karmic pattern- so that he or she could work out his or her karma in this life time. Based on the past karma the soul of the child chooses parents. So if the child is destined to be born in a family with sick mother , the child soul would choose that family, time and date and be born in accordance of laws of universe in that family. The Various malefic combinations that might affect the mother are give below. What are the Various malefic Combinations that could affect the Mother of the Child After Birth? If moon the karaka for mother is afflicted by or aspect by 3 malefic. That means trouble of health to mother. These effects get reduced if there is a benefic aspect to moon . If the 2nd house is occupied by Venus,mercury,rahu,sun or Saturn. The child might lose the father.If the moon is in 7th or 8th from a malefic or be conjunct with a malefic and receives an aspect/drishti from a strong malefic- the mother’s longevity is questionable. The child may not get mother milk is sun/surya is exalted or debilitated or weak in 7th house or bhava. If there is a malefic planet in 4th and with an inimical sign as counted from moon or Chandra. Also there is not benefic in the angular houses(1/4/10/7)- the longevity of mother is questionable. If there are malefic planets in 12th and 6th house- the mothers will face troubles.If in 3rd house or bhava and house of action(10) there are malefic ,father could face troubles. The planet mercury in 2nd house or bhava and malefic i9n ascendant(tanu bhava) and 12th house – could affect the entire family. If planet Jupiter(guru) , Saturn(shan) and rahu are placed in 1st house, 2nd house and 3rd house or bhava in order – this could badly affects mothers health. If the moon (Chandra) is waning and the angles( houses 1/4/10th) from the waning moon has malefic & also no benefic would be in conjunction with the above mentioned malefic- then the mother of the child could abandon the child. If the planet Saturn(shani) and mars(mangal) are together in an angular house from moon(Chandra) and they also are together in the same navamsa (D9) – the child could have two mothers and also have a short life. What are the other core factor that represents Mothers health and longevity in any horoscope? Mother to live long means the karaka for the mother that is moon and in some cases Venus should be strong and not afflicted by malefic like mars, Saturn or ketu or rahu. The fourth house lord that represents mother should also be strong enough forming most of the lagnas or ascendants. Also the eight houses from the fourth house(as fourth house is for mother) should be strong and in afflicted. 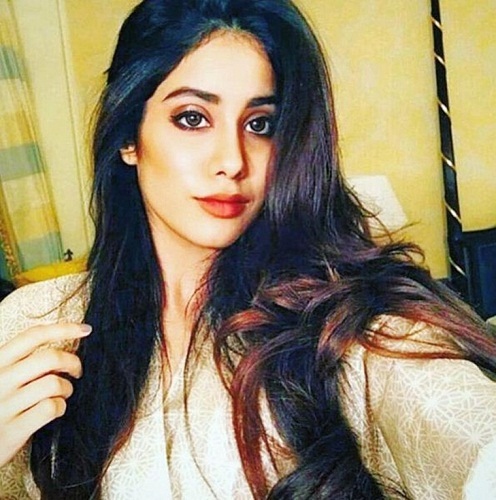 J The horoscope analysis of Jhanhvi Kapoor , film actress sri devi’s daughter to Check the indications of longevity of mother(sri devi ji) in her(jhanavi’s) horoscope? Jhanavi kapoor and a famous Television artist and is a daughter of famous film actress sri devi (late) and boney kapoor. She lost her legendary mother sri devi ji recently in the year 2018 in a fatal washroom accident while taking a bath and shortness of breath was the cause. 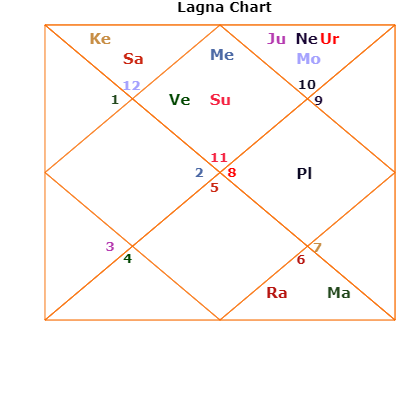 Analysis of various Factors in jahnavi kapoor’s horoscope, what impacts the longevity or life span of mother( late sri devi ji)? Moon the karaka for mother is a bit weak in the twelfth bhava at around 10 degrees in the Capricorn sign. so over all moons is a bit weak and afflicted. But yes her moon has blessings from Jupiter the lord of gains the eleventh house and also the second bhava lord of dhana and status. This clearly hints towards a well to do and celebrity mother like sri devi ji. Saturn or shani on which moon is sitting has ketu sitting in the rashi making it very agitated and angry. The fourth bhava lord is Venus, represents generally a beautiful and talented mother is combust and is close to her markesh the sun the seventh house lord sun. this is a killer combination. Mercury or budha the lord of the malefic eighth house and killer house, having killer mars and rahu there sits close to Venus in the first bhava. so clearly hints towards possible sudden death to her respected mother due to the eighth house, mars and rahu involvements. The eighth house lord from the fourth bhava is Jupiter is debilitated in the Capricorn sign so reducing the longevity for her mother. The lord for her mother is mars the fourth house lord is close to rahu in the ninth bhava. Also the eighth house from the fourth house for mother the longevity house, it is scorpio sitting into eh sixth bhava from the fourth bhava of mother with rahu. so over all it clearly hints sudden and accidental death for jhanavi’s mother sri devi ji and also a short life span due to weakness of lagna, moon, lagan chart ,surya kundali and moon chart and also involvement of twelfth house, eighth house, sixth house and mars and rahu effects on the longevity and health of mother that is sri devi ji. we Pray for sri devi ji’s soul rest in peace we all are eternal fan of hers and success for jahnavi ji.